Vine 2 Wine, run for nearly a decade by the former Betty Ferguson Foundation, was a lovely afternoon affair with wines to taste, a raffle, music, and great food in an event that would benefit and empower women in SCV. The Classic, run for two decades, was an evening affair that included personal cellar and winery donations, live music and a raffle that benefited the SCV Student Orchestra. This year the two events, more than aptly tied together a second time by The SCV Wine Classic’s wine chair Jeff Jacobson and Circle of Hope’s Executive Director Ray Tippet, is now a night time affair and included three rooms inside the Santa Clarita Activities Center, samples from dozens of wineries, personal cellars, a taste of a 150 year old wine – with Abe Lincoln if one desired – an art exhibit, a raffle room, dessert room, dining options, live music and the Beer Garden of Hope. 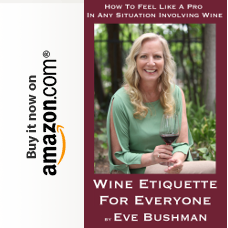 For me, being able to wander freely from room to room, never encountering a line more than two people deep at any of the wine tables, and plenty of photo ops of happy people…equaled success! Janice Murray: This years event was amazing. So many old friends I hadn’t seen in awhile, and many new friends and supporters. What a fun evening! Ray Tippet: To Eve, Jeff, Patrick, Erin, Linda, Laura, Wendy, Doug, Eric, and Jimmy C. and the band plus the 98 other volunteers. This crazy event couldn’t have happen without you! Great Job! We had over 550 attendees along with the 98+Volunteers. If you weren’t there you missed a great event! Eve thanks for all the great coverage! Bruce Fortine: What a great event and evening! Jimmy Carnelli (and Mom) were wonderful as were the attendees, food, wine (and beer too). All for a Class organization! Maureen McKaughan: Great seeing you and so many other of our friends last night! Seemed like a big success! Erin Woolf Hernandez: Oh what a great night! My legs are killing me from running around all night and I WISH I had partaken a little more in some of that fabulous wine…but I must say it sure was great to volunteer my time for such a meaningful cause! Beth Peterson Greenwald: Simply fabulous! Well done! Priscilla and Patrick Lundgren: Yes it was a wonderful event, we really enjoyed the 1999 Ridge and a Riesling that Lee (Lee’s Wine Bistro) was pouring. 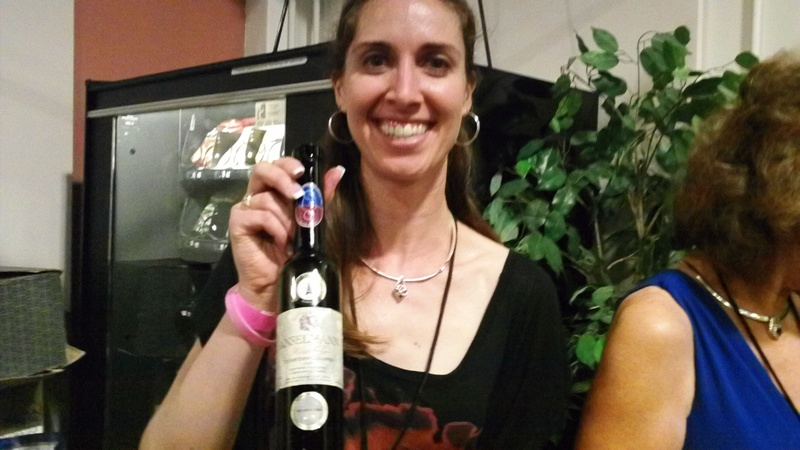 Kim Larsen, PK Chocolates: Had a great time last night at the Vine 2 Wine Classic. Saw many friends, and made some fantastic contacts for some exciting future events. Alex Slaten: We all had a good time and there were plenty of interesting new wines to try. Sign me up for next year! Jennifer Chadwick: What a wonderful event…the wine was fabulous and I for one loved the cheese…maybe I’m biased? 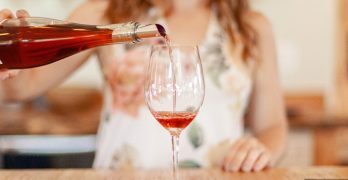 🙂 It is always one of our favorite events and we at Salt Creek Grille are proud to have been involved again with The Circle of Hope’s Vine to Wine. Cheers and thanks again on a great event! Roman Weiser: Well organized event, with ample space for everyone to enjoy. Claudia Sheridan: There were many great wines presented, and what a treat to be able to taste the wines the Jacobsons were pouring. I look forward to next year’s event! Denise Lowe: The cause was great, the wines were diverse, the people warm and friendly. It was a very nice event. Laurie Morgan: It was very fun. Also, the Santa Clarita Artists’ Association had several members’ art exhibited. Added an extra nice ambiance. Cancer survivor Wendy Warner Thrush: It wasn’t that long ago…you never forget the day, the time, nor what you were wearing, or who you were with, the day you are diagnosed with CANCER! I will try my best in words, and on Facebook to THANK everyone for contributing to The Vine 2 Wine Classic last evening. The activity center was packed with conversation, music, wine tasting, eating, beer sampling, dessert heaven, smiles, tears all for such a wonderful local cause. My heart is full of joy, and love for all my friends who worked so hard to make this a special evening for so many in our community of Santa Clarita who have or are fighting Breast Cancer…you are all appreciated and loved by ME! Thank you! A wonderful evening! I’m really excited that we were able to bring the Wine Classic back from the dead, along with Honest Abe Lincoln, who supervised our pouring a very rare Madeira from 1863, the year of his Gettysburg Address and the Emancipation Proclamation. I am truly grateful for all the help from my wine committee members, Steve Cravitz and Zaheer Ali, for the support of the wineries and distributors who gave their wines and time, our library wine contributors who reached so deeply and generously into their personal wine cellars, to the wine pourers and other volunteers, without whom we couldn’t have staged the event, to the Betty Ferguson Foundation for handing their wonderful Vine 2 Wine event to the Circle of Hope, and for Ray Tippet, his staff and the Directors of the Circle of Hope, for bringing the event to the people of Santa Clarita. My family and I are proud that we were able to help with it. Our sincere thanks goes to John Burton and Southern Wine & Spirits of So. CA and Kevin Byrne and Wine Warehouse, for their heroic support. Together, they recruited almost 20 wine tables. Lastly, I want to thank everyone for attending our terrific event, and helping the Circle of Hope raise urgently needed funds to assist local uninsured and underinsured breast cancer victims and their families. We’re busy planning next year’s extravaganza, and we hope to offer a limited number of tastes of a very rare and amazing 1853 “King Pedro V” Port, in cask for 150+ years, to a limited number of people who, as with the 1863 Madeira, would like to arrange for their special taste. We hope to entice the late King Pedro V of Portugal to put in a special appearance at next year’s event. We had fun with the “Gettysburg Address” and 1863 Madeira tie-in last weekend, but, the most notable event of 1853 seems to have been the invention of potato chips! Winery representatives included: Prestige Wine Imports, Freixenet USA / Gloria Ferrer, Francis Coppola Winery, Wente Vineyards and Constellation Brands, Whitcraft Winery, Treasury Wine Estates; Distributed by Southern Wine & Spirits of Southern California, J Lohr Vineyards and Wines, Niven Family Estates, Louis M. Martini Winery, Kenneth Volk Vineyards, Donati Family Vineyard, and Fess Parker Vineyard & Winery, Pedroncelli Winery, Rosenthal – The Malibu Estate Wines; Distributed by Wine Warehouse, Estrella Creek Winery, Meola Vineyards; Transat Trade, Jackhammer Winery; Topline Wine & Spirit Co., Les Deux Chats Cellars, Glendale, Navarro Vineyards, Pisoni Vineyards, Pulchella Winery, Nugucciet Cellars, Quady Winery, Old Creek Ranch Winery, Stanger Vineyards, Roman Holiday Wine Bar, Sunrise Spirits & Food Co., Woodland Hills Wine Company and Young’s Market; The Estates Group. 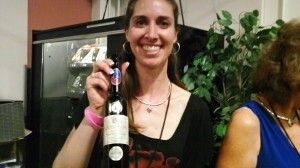 Julie Jacobson holding one wine I liked - she didn't have enough arms for all of the wine I dug! Thank you to the Betty Ferguson Foundation for allowing us to continue on this prized tradition. Thank you to Jeff Jacobson, our wine director, for donating countless hours of his time, bringing back the classic, and melding these two great events into what has become the Vine 2 Wine classic. We are extremely grateful for the fabulous wineries and merchants Jeff has invited to participate in this evening’s event. Thank you to Kevin Byrne of Wine Warehouse and John Burton of southern Wine & spirits of southern California, we can’t thank you enough for your and your company’s generous support of circle of hope and our Vine 2 Wine classic. Your contribution to our event truly sets us apart from any other wine event in our area, and we owe it to you. We are extremely grateful for the generosity of the City of Santa Clarita for allowing us to use this wonderful facility. to Mike and Pam Ripling for finding this site, and a special thank you to Bob Kellar for all his help in securing the Santa Clarita activity center. to Pat Downing, Judy Baker, Cynthia Gonzalez, and their entire staff, for the professionalism they offered in working with circle of hope to make this event a reality. 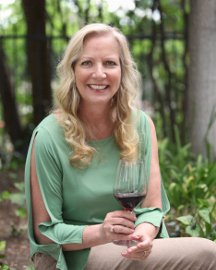 We would also like to thank Janice Murray, this year’s Vine 2 Wine chairman. Also a big thank you to Pam Ripling, Circle of Hope events committee chairman. To our Vine 2 Wine Classic Committee, thank you for your time and dedication to making this event possible. A special thank you to the library wine donors Chris & Jeannie Carpenter, Roger & Gwen Gertz, Les Hershberger and Mamie Wong, Jeff, Joan & Julie Jacobson, Yoon Lee, and Robert & Annie Schwartz. Thank you for opening your private cellars to tonight’s guests. Thank you to the participating wineries, merchants, food vendors, artists, and musicians –Jimmy Carnelli and friends – this event would not have been possible without your participation and support. A big thank you this evening’s volunteers and wine pourers. We appreciate your help enormously, and this event would not be what it is without your support. Thank you to Linda Woolf, for coordinating the volunteer effort. We would like to say a special thank you to Angela Capodanno for her amazing graphic layouts – not only for this program, but for the past two years – bringing Circle of Hope’s brand alive and capturing the essence of who and what circle of hope is. All we can say is thank you for all your hard work. Thank You to All of our Guests. Thank you for supporting the 11th annual Vine 2 Wine Classic and the Circle of Hope. Together, we can make a difference! Thank You to our Artists. Circle of Hope would like to thank the artists from the Santa Clarita Art Association for providing an amazing collection of their works this evening. The addition of fine art enhances our event, and we appreciate their talents. Circle of Hope, Inc. is the only breast cancer organization in the Santa Clarita Valley that provides financial, emotional and educational support for breast cancer patients. The community has embraced us since our formation in 2004. Circle of Hope assists breast cancer patients who live in, work in, or receive treatment in the SCV.